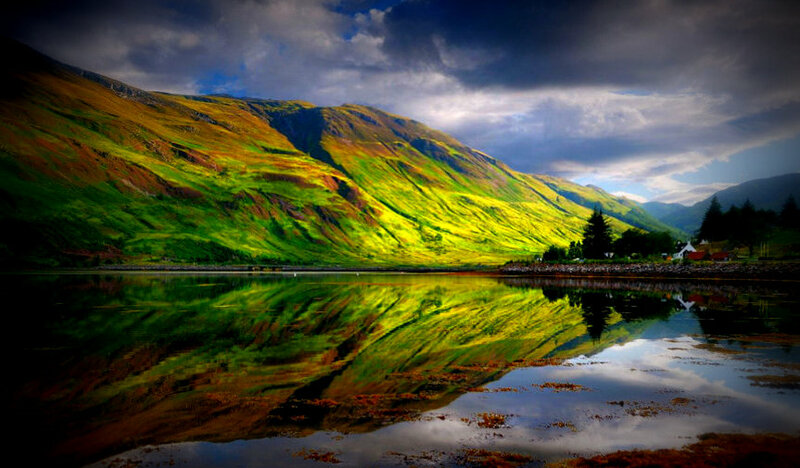 In just a few hours I'll be leaving Canada and heading for my family home in the Scottish highlands. And since I won't be able to do much blogging, and because the news is so grim these days, I thought I'd leave you with a message of hope. A message from Bernie Sanders. He came rushing out of the gate almost five months before the starting gun sounds to announce the beginning of the Progressive Conservative leadership race. He was hoping his arrival would create a sensation, that he would be greeted like a conquering hero come to liberate Alberta from the NDP usurpers. But sadly for Jason Kenney, the excitement lasted for about a week. And his campaign is going nowhere. 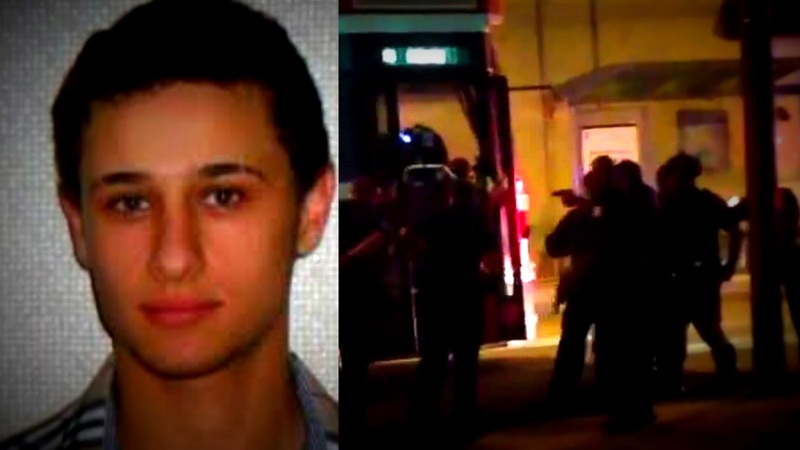 In one of my last posts I looked at the tragic case of Sammy Yatim who was killed on a Toronto streetcar by police officer James Forcillo. 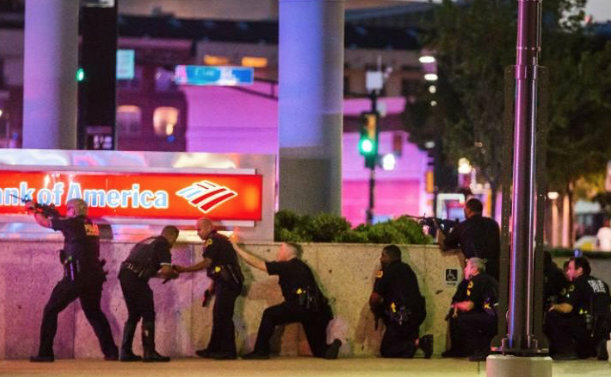 Who shot the troubled teenager barely a minute after arriving on the scene, rather than take the time to negotiate a peaceful resolution. And now I want to know why police officers in Ottawa killed this mentally ill man so quickly and so brutally. There are now 100 days to go before the American election, and we find out whether we will be condemned to live in Donald Trump's nightmare world. Or whether Hillary Clinton and her progressive army, will be able to bring down the man some of his crazed followers are now calling the God Emperor. For it is as the Globe says, a choice between sanity and insanity. 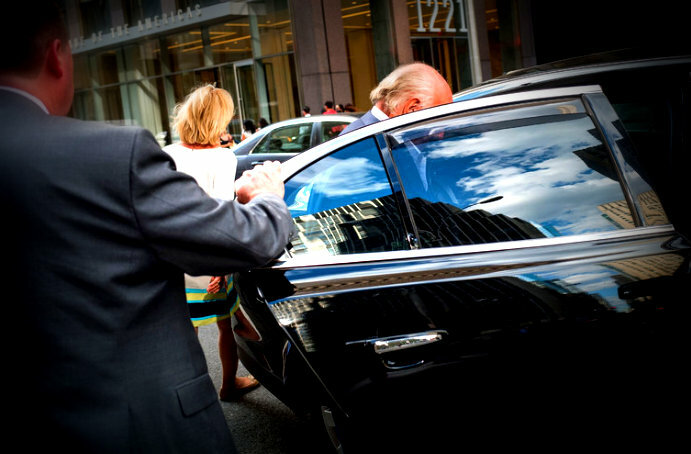 The 2016 U.S. presidential race is not like elections past. 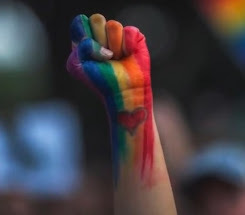 It is not just a choice between right and left. The old borders are being redrawn by the parties, and by a restless, cranky electorate. No, the cleavage this year is different, and deeper. The line of demarcation is stark. 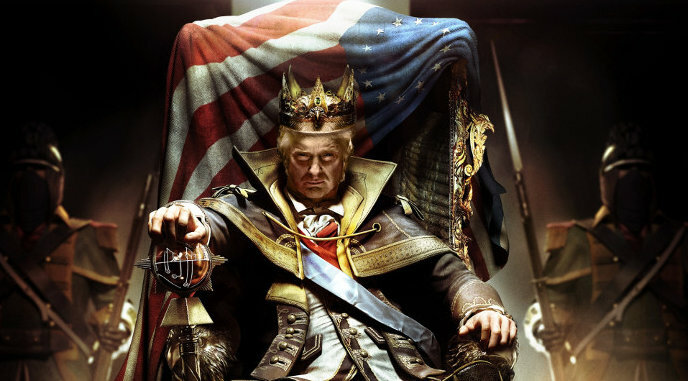 It is no exaggeration to say that the choice in November is between sanity and insanity. 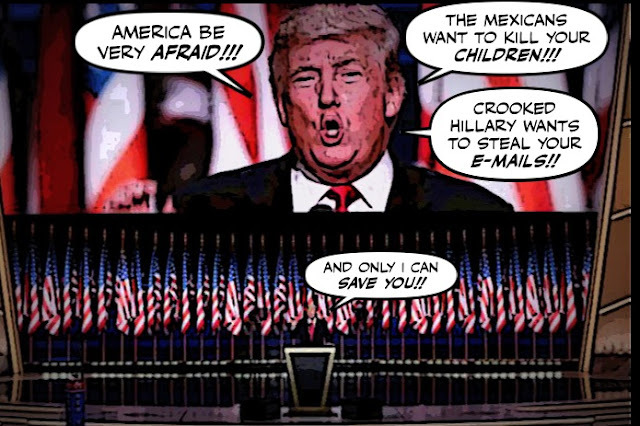 And that dangerous demagogue has never sounded so deranged. 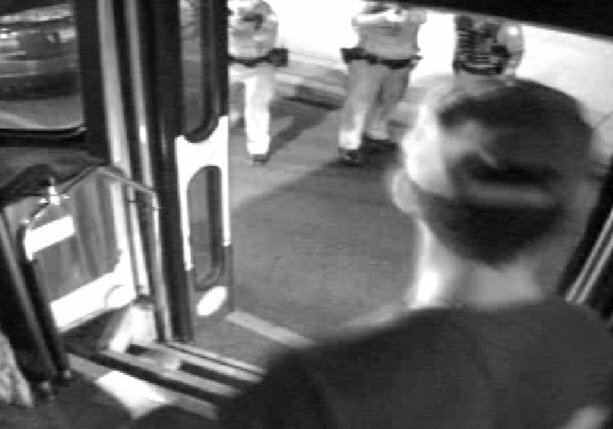 It's been three years and one day since 18-year-old Sammy Yatim was shot to death on a Toronto streetcar by police officer James Forcillo. But yesterday his killer was finally sentenced. A Toronto police officer who gunned down a troubled teen on an empty streetcar three years ago abused his authority in a way that undermines public trust in law enforcement and the justice system, a judge said Thursday in sentencing him to six years in prison. And I couldn't be happier, because this was murder. 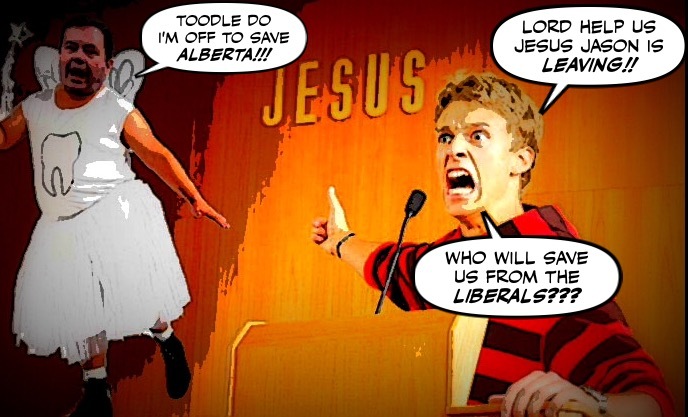 Yesterday I told you how ever since Jason Kenney announced he was flying off to Alberta to fight the godless commies, the Con's religious base has has been in a frigging frenzy. Demanding that another religious fanatic be summoned to lead the Harper Party. And it seems that their prayers are being answered. The former speaker Andrew Scheer is preparing to answer the call. And here comes another one crawling out of the woodwork. Once upon a time Donald Trump's passionate bromance with Vladimir Putin had its comic qualities. But not any longer. Not after this. And what Trump said yesterday was not only dangerous and crazy. When I wrote a post about the sad state of the Harper Party's leadership race the other day, and ran a group photo of the sorry losers that contest has so far attracted. I forgot to say that with the departure of Jason Kenney, there will be at least one more candidate. 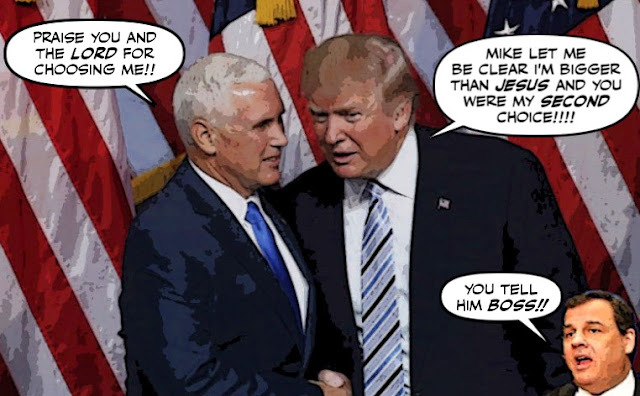 The candidate of the Con's rabid religious base. It's the Con's worst nightmare. The spectre of electoral reform coming after them, and threatening to drive them from power forever. And since they know only a referendum can save them, they spend an incredible amount of time calling for or screaming for one. 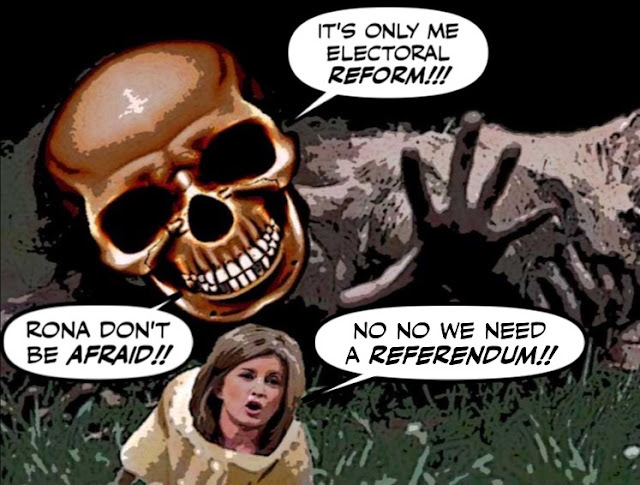 If you've tuned in to Question Period since the last election, federal Conservatives seem to have one response and one response only whenever anyone brings up the question of reforming Canada's electoral system: referendum! And of course the idea of a referendum did have to come from Pierre Poilievre. Labels: Con clowns, Electoral Referendum, Electoral Reform, Pierre Poilievre, The Death of Con Canada. 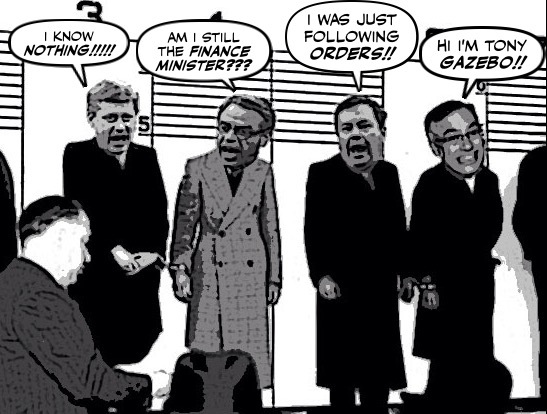 As you know the Cons are having a desperate time trying to attract good candidates to join their leadership contest. And I'm afraid the latest leadership candidate to join the race isn't going to help matters. It's opening night at the Democratic Convention. And what was supposed to be Hillary Clinton's sparkly coronation is turning into a bit of a nightmare. For even as Clinton prepares to accept her party's nomination, what was supposed to be a show of unity, and a bright contrast to Donald Trump's dark and divisive rally, is threatening to become a noisy show of disunity. 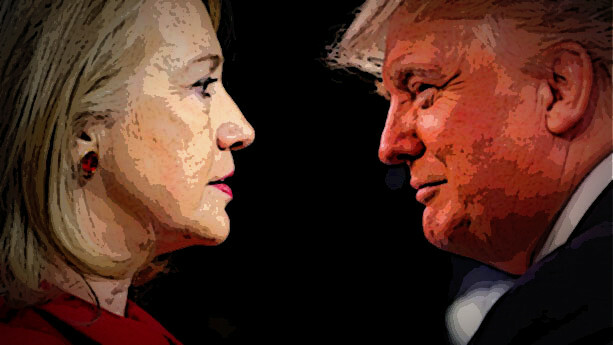 With the fate of the convention, and maybe her own fate, in the hands of the man she defeated. 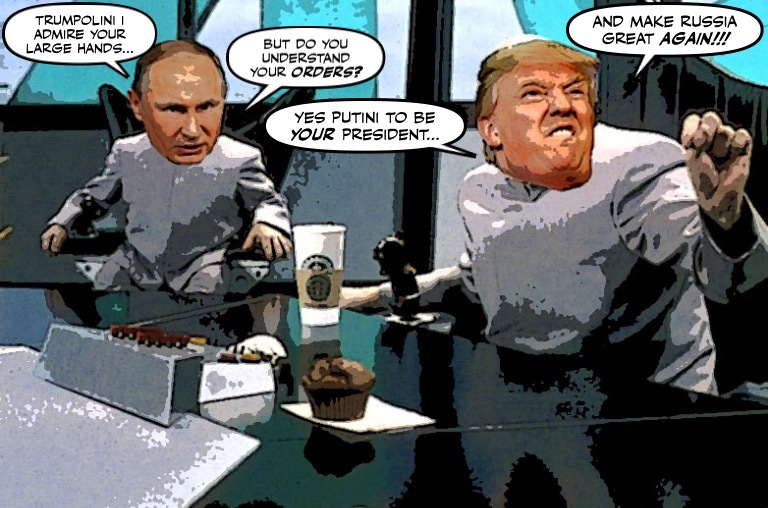 Is Donald Trump Putin's Siberian Candidate? 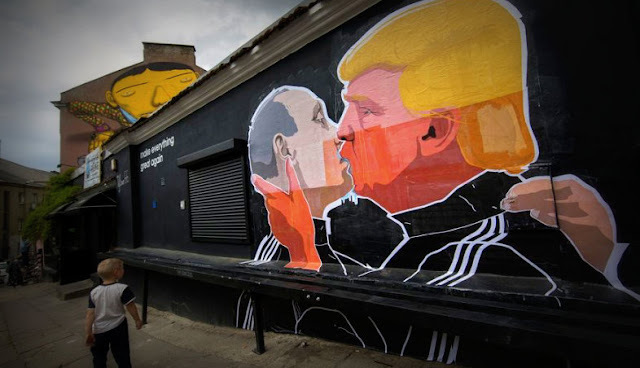 We know that Donald Trump and Vladimir Putin have an unusually warm relationship. We know that Trump greatly admires the Russian strongman, and that Putin feels the same way about him. And although they do make an odd couple, I have always assumed it was just one power hungry narcissist, admiring the other. But what if it was something more sinister? 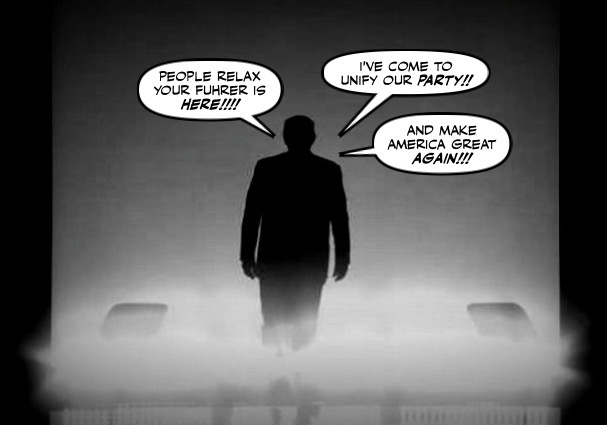 It speaks to the horror of the Republican convention that although Donald Trump did declare it an enormous success. The Washington Post editorial board has seen enough. And has decided to endorse Hillary Clinton about three months earlier than it normally would. Canada's premiers have made more progress in the last few months than they made in the almost ten years Stephen Harper ruled this country. And they do have good reason to celebrate. 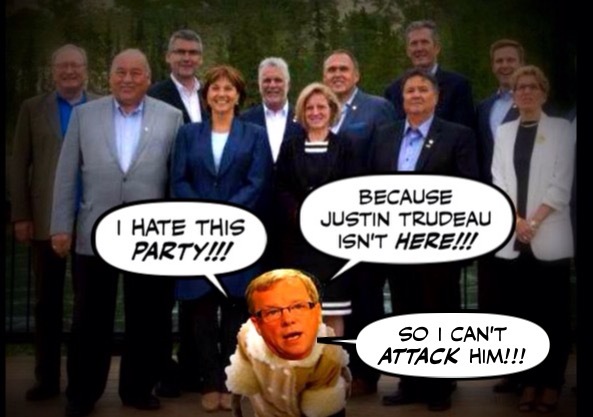 But there is always one party pooper, and it would have to be Brad Wall. The grubby little oil pimp from Saskatchewan, who spent much of that meeting complaining that Justin Trudeau wasn't there. So he could tell him how much he hates the idea of a carbon tax. I think I've mentioned this before. 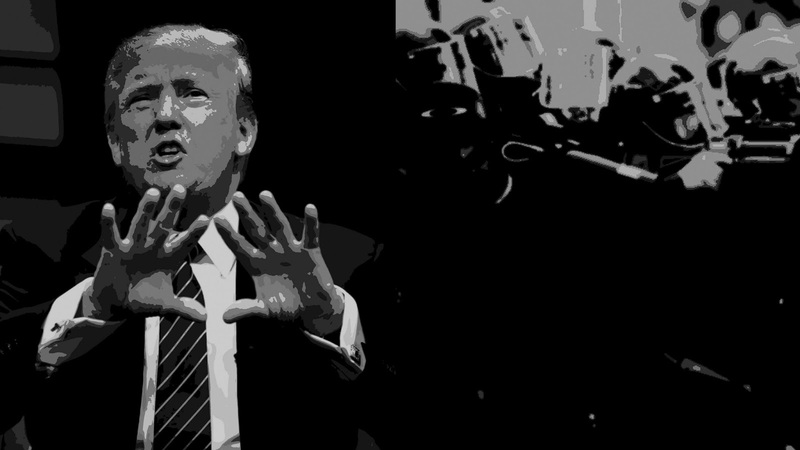 I once had a lot of trouble calling Donald Trump a fascist. I didn't want to diminish the word. Or the suffering of its many victims. I also knew that he was planning to use Richard Nixon's 1968 law and order speech to the Republican convention as a template for his own. 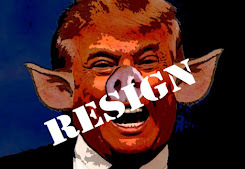 But the deranged rant he delivered last night, wasn't even warmed up Nixon, it was far worse. For twenty years as the head of Fox News, Roger Ailes helped shaped the current form of the Republican Party. And turn politics in that country into a sewer. But today it was his turn to be flushed into that same sewer. It was already the most bizarre political convention in modern American history. A third rate Nuremberg rally if ever there was one. But for Donald Trump yesterday had to be the worst day so far. For first he had to try to defend his wife, for the way she stole parts of her speech from Michelle Obama. At first glance they may seem like an odd couple. And it's not a pretty sight. But if you think about it, it really is a match made in Con heaven. 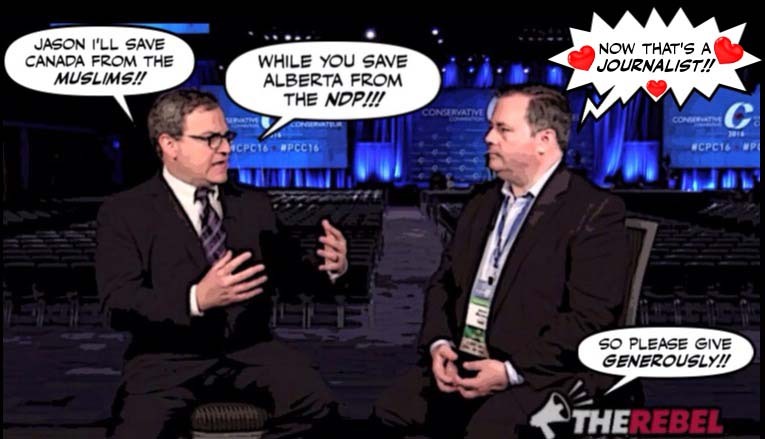 Because as we all know Ezra Levant and Jason Kenney have a lot in common. 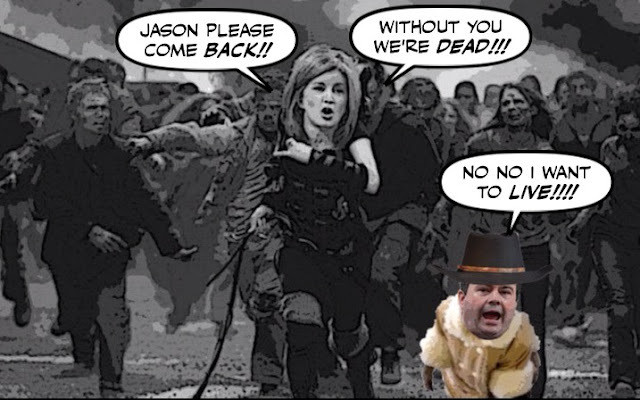 Both are bigots, Kenney loves appearing on Levant's hate mongering show. And as for the ghastly Rebel Commander, he can't do enough to help his buddy Jason "liberate" Alberta. I got back home just in time to watch the New York delegation push Donald Trump over the top. And make him officially the Republican party's candidate for President. And while it was no surprise, and it was some consolation to know that everybody was talking about this. 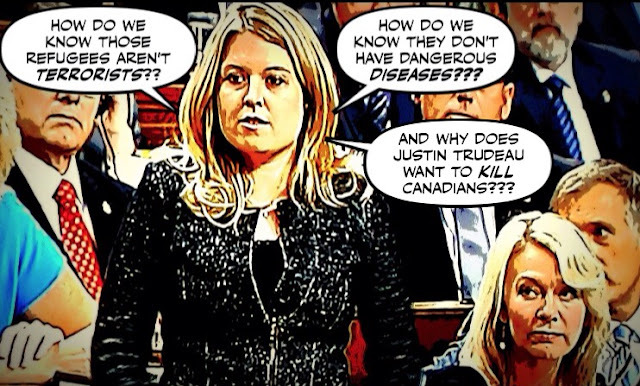 When Michelle Rempel was a screeching cog in the Con regime, she used to spend a lot of time trying to stop refugees from coming to Canada. But since she was evicted from power, she now spends a lot of time accusing the Liberals of not accepting enough Yazidis, a Kurdish minority group in Iraq that has been singled out for particularly brutal treatment by the ISIS crazies. Claiming that while the Harper regime cared passionately about their fate. The Liberals aren't doing enough to save them. 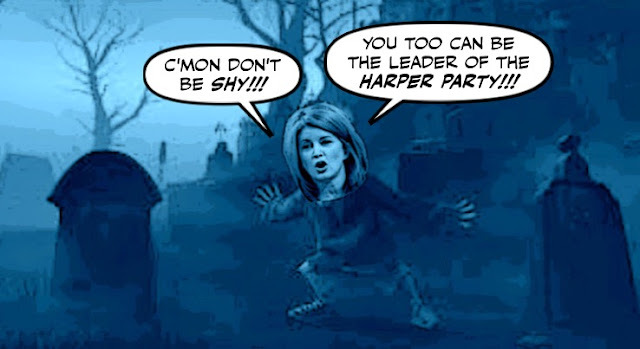 As we all know Rona Ambrose and her Cons are having a really hard time attracting any star leadership candidates. The only candidates they have managed to attract so far, like a candle attracts bugs, couldn't be more boring or more mediocre. And it seems, more delusional. 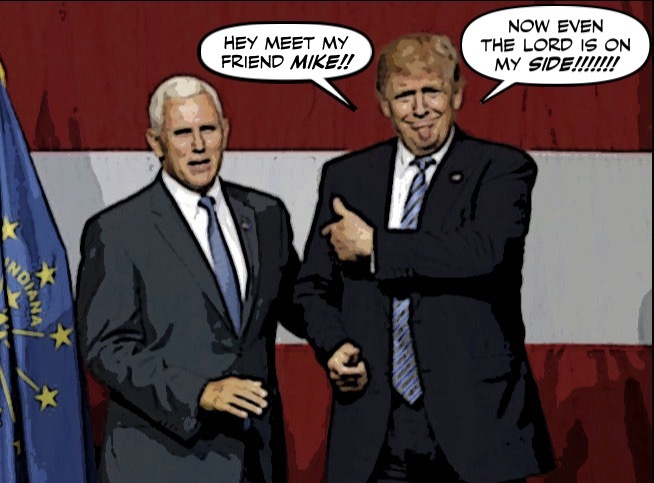 I didn't get to watch Donald Trump introduce his running mate Mike Pence yesterday. For it is summer, and both it and life are too short. But now I'm sorry I didn't. Because it was Trump at his worst or most bizarre. Will Jason Kenney Help Boost the NDP in Alberta? As you know Jason Kenney's crusade to unite the right in Alberta and destroy the NDP, has gotten off to a disastrous start. His obvious plan to take the "Progressive" out of the Progressive Conservative Party of Alberta has many PC supporters up in arms. Stephen Harper's endorsement of Kenney at a Stampede event attended by lots of Wildrose Party supporters, offended many of them. And that has some political observers wondering whether that ghastly religious fanatic will unite the right, or destroy it. 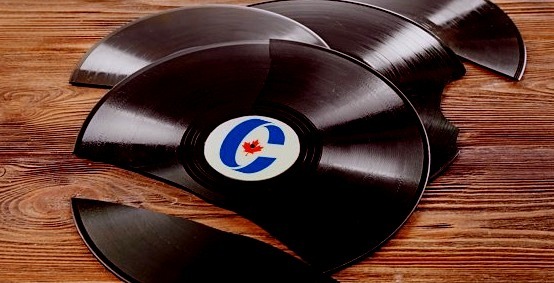 Well I suppose it was just a matter of time before even the Cons took a good look at the list of candidates for the leadership of the Harper Party. Started to mumble and grumble. And give them the lowest grade possible. 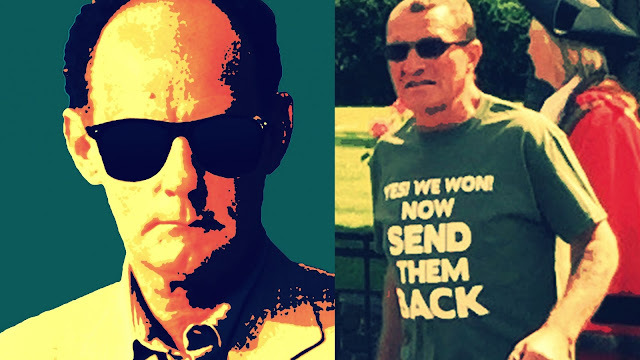 Well he may look like the man from Glad. But Mike Pence, Donald Trump's choice for vice president, is actually the man from God. And he's really bad news for women and gay people. Who can ever forget Stephen Harper's Great Tour of India back in November of 2012? The trip was an absolute disaster, he managed to alienate his Indian hosts, there was no trade agreement. Not even a photo-op with the country's Prime Minister. 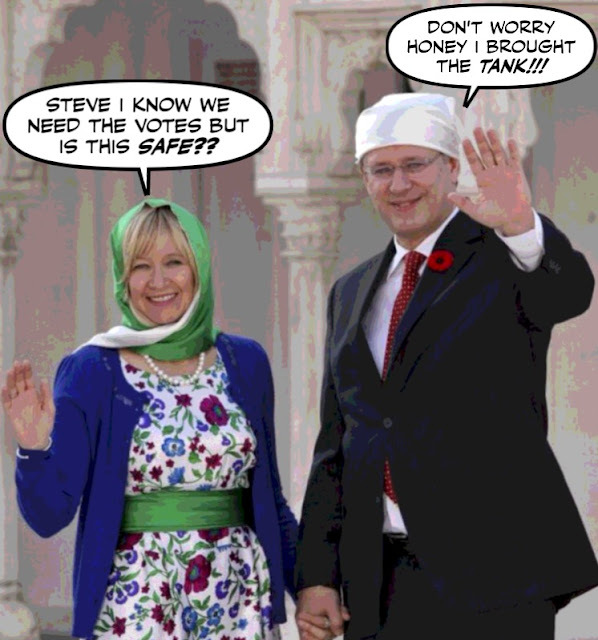 But he did manage to get his picture taken at every sacred temple of every Indo-Canadian community in Canada. 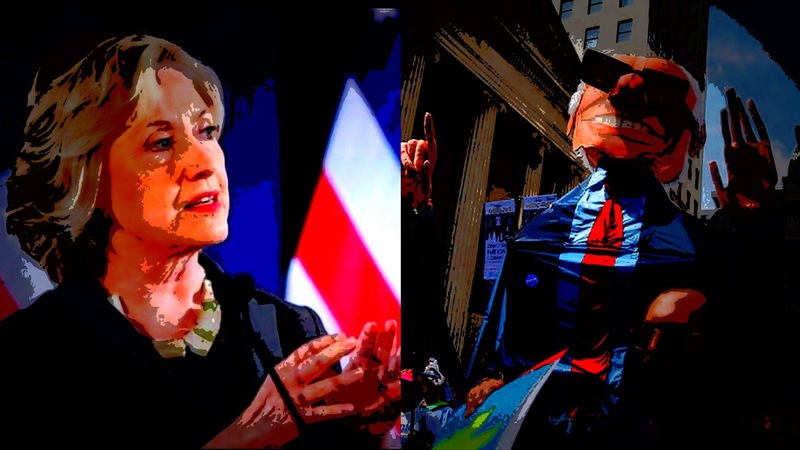 I know many progressives wish that the Democrats had a better candidate than Hillary Clinton to confront the dangerous demagogue Donald Trump. 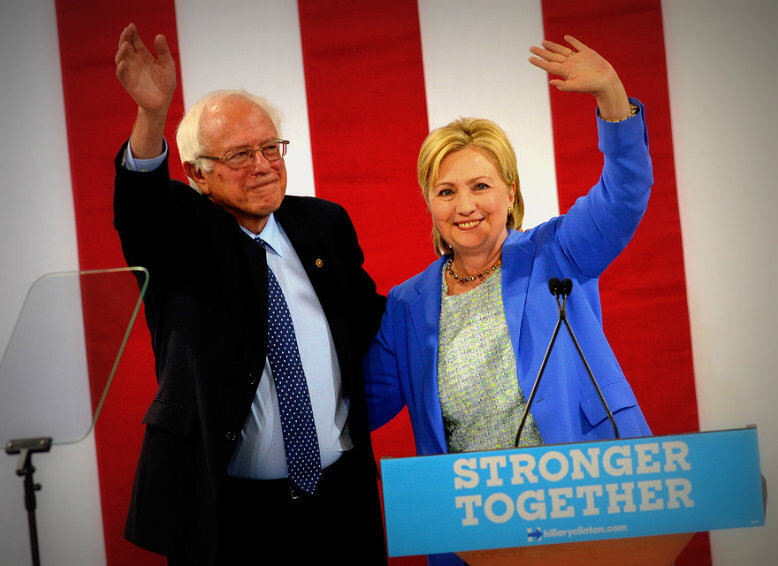 And like me wish that Bernie Sanders had won the nomination, and are bitterly disappointed he didn't. But the fact is, whether we like it or not, Clinton is now the only one who can stop Trump. The failure of many of Bernie's supporters to accept that reality is starting to resemble insanity. 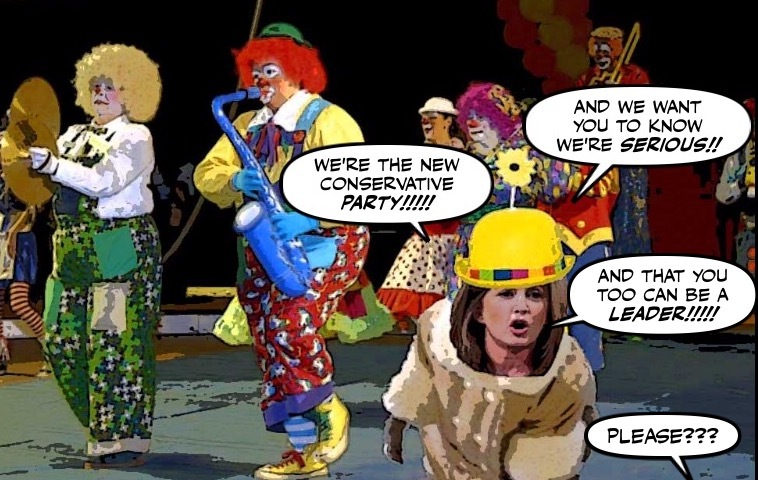 Rona Ambrose did a lot of bad and stupid things during her years of faithful service to Stephen Harper's monstrous Con regime. And most of them were things that just made me shake my head, or laugh, or wonder how an idiot could be a minister. But there is one ghastly act of deliberate cruelty, for which I could never ever forgive her. One which made it even harder to save the lives of thousands of Canadians. Is Jason Kenney's Alberta Crusade Heading for Disaster? As we all know, Jason Kenney has set out to conquer Alberta by uniting the right. And he has launched an all-out blitz to try to discourage anyone from even entering the leadership race for the heart and soul of that province's Progressive Conservative party. So I was not surprised to see this poll come along to support that assault. 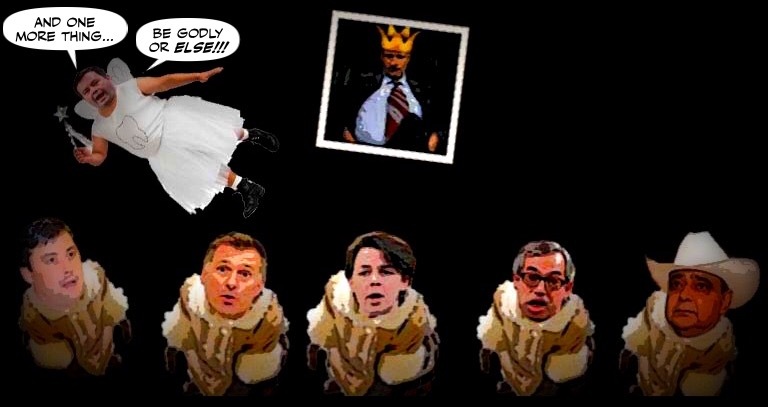 But is Kenney really heading for victory or is he heading for disaster? According to some stunning new polls, Donald Trump's chance of winning the support of most African-Americans is practically zero. Because Hillary Clinton just about owns the black vote. So with all the violent racial turmoil in the U.S., I've been watching that dangerous demagogue closely to see how he might react. And sure enough he's already moving to take advantage of the situation. We all knew that Tony Clement's campaign launch for leader of the Harper Party was going to be a ghastly spectacle. Because all the hype or the lipstick in the world can't make him look like an attractive candidate, let alone a winning one. He's got loser written all over him. But who knew the big launch would be both farcical AND deeply disturbing? Well he took his time, and it couldn't have been easy. It was probably the hardest and most painful thing he has ever done. But Bernie Sanders has finally done what he had to do. 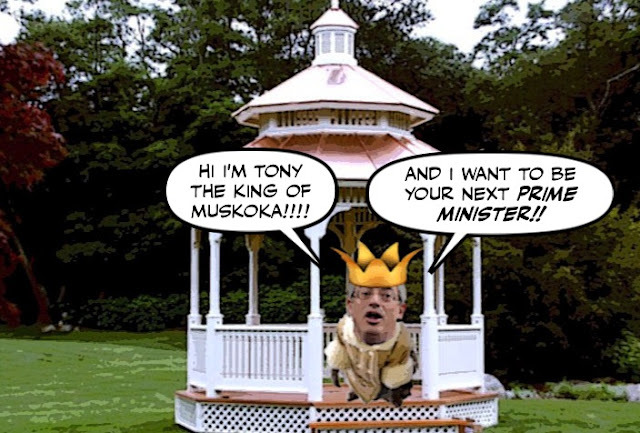 As announced, today is the day Tony Clement, the King of Muskoka aka Gaz Boy or Gas Bag, will make what he calls an "important announcement." 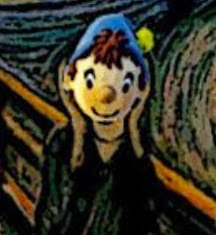 When he will solemnly declare that he too wants to be the new leader of the Harper Party. And while the poor scribblers in the MSM draw straws to see who gets the deathly assignment of covering that Con clown's "important announcement." And who will be forced to stifle their yawns, and try not to die laughing. 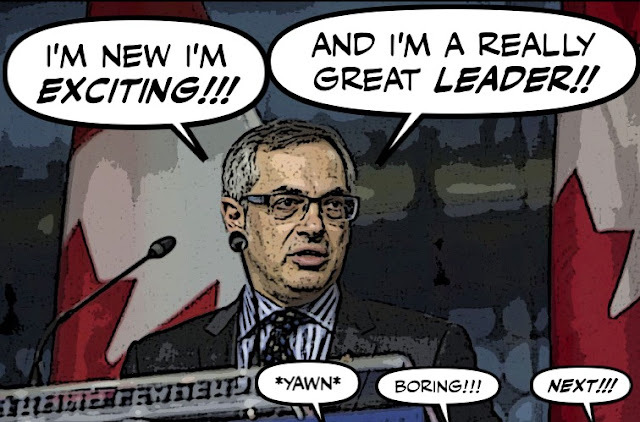 I'm happy to report that Clement's doomed leadership bid just got even more hilarious. 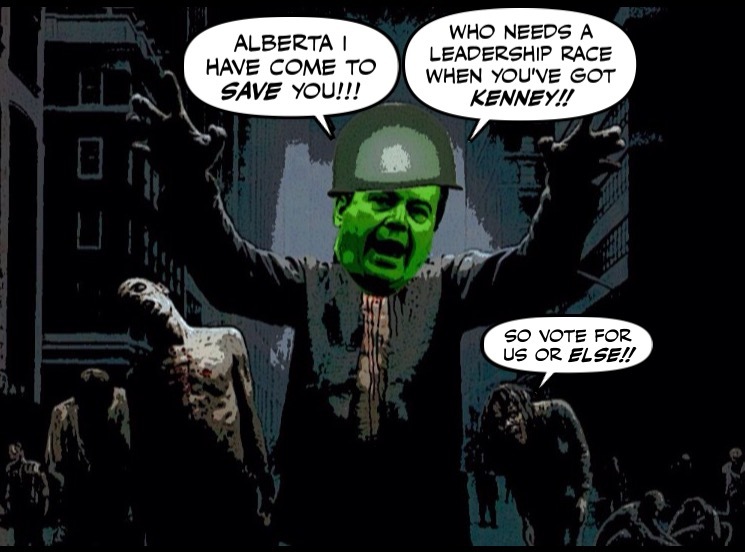 As we all know only too painfully, Jason Kenney is trying to reinvent himself as the Saviour of Alberta. Even though he was born in Ontario, has spent the last twenty years in Ottawa, and couldn't save anything or anyone. 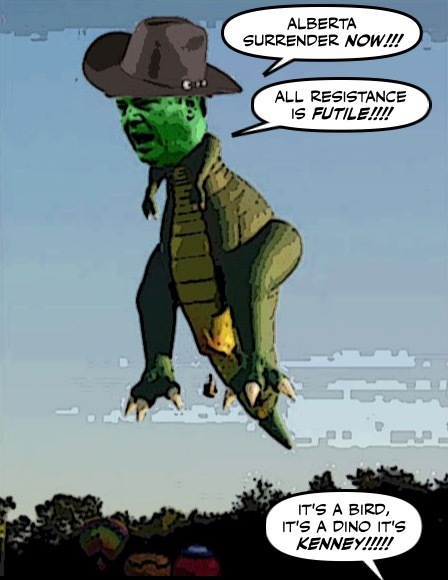 For weeks Jason Kenney has been all but begging Stephen Harper to endorse his crusade to unite the right in Alberta. He promised us his master's blessing was coming. He's been practically quivering with excitement at the thought of being anointed by the one he served so faithfully for so long. So I only hope Kenney was wearing diapers yesterday, when that blessing finally arrived. 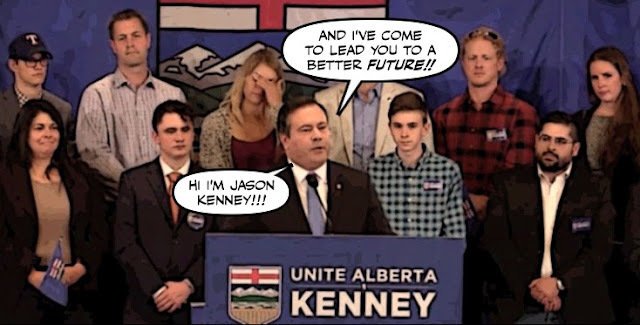 It may seem hard to believe, but many in the MSM are saying that Jason Kenney's decision to leave his job in Ottawa to go fight the commies in Alberta, has blown a giant hole in the Con leadership race. Which speaks volumes about the dilapidated state of Rona Ambrose's Harper Party. 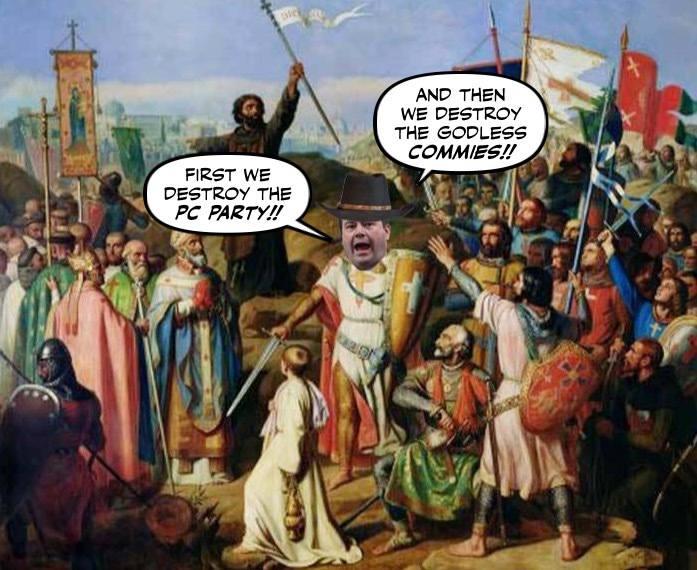 I've written quite a few posts recently about Jason Kenney, and his plan to unite the right in Alberta. 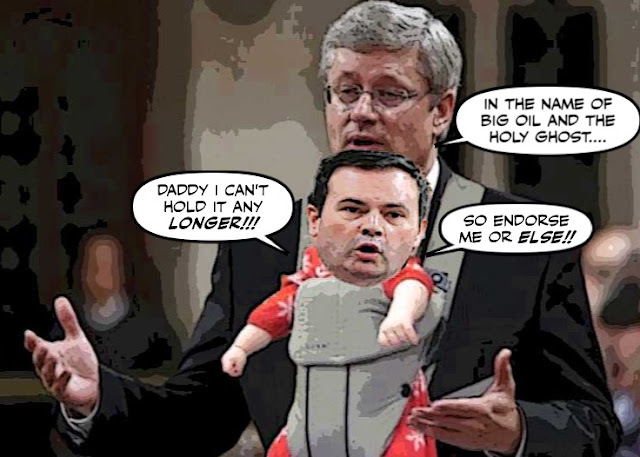 By destroying the Progressive Conservative party he wants to lead. And since that's crazy enough, or Kenney enough, and I think that the MSM has given that ghastly Con far too much free publicity. I wasn't planning to write another post, until I saw this. 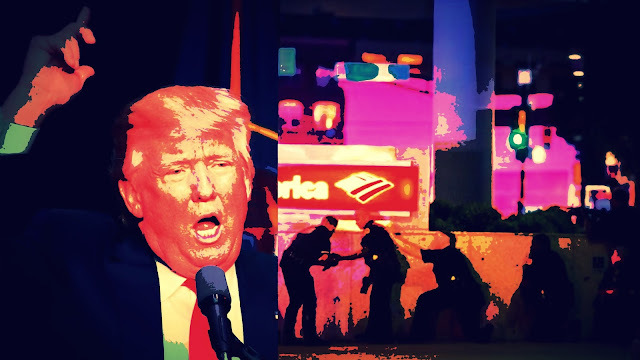 The last thing I wanted to do was write about the violent horror show that is Crazy America. Because I was so traumatized by the Orlando massacre, I've had trouble writing about ANYTHING. But with two more black men being shot dead, for nothing. And after this latest explosion of violence. I feel I need to force myself to say something. 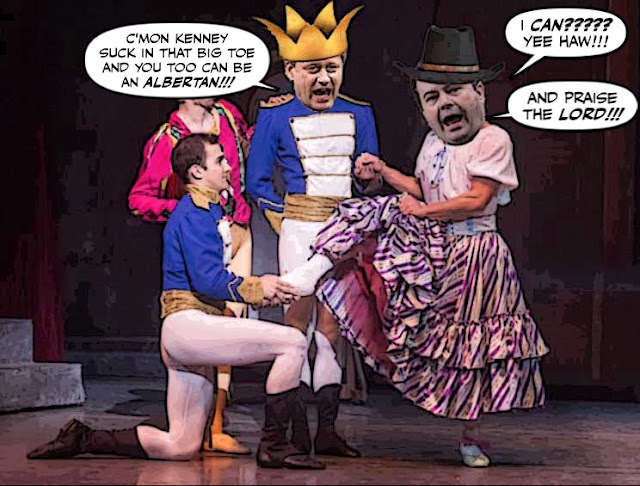 It was supposed to be Jason Kenney's Big Day. 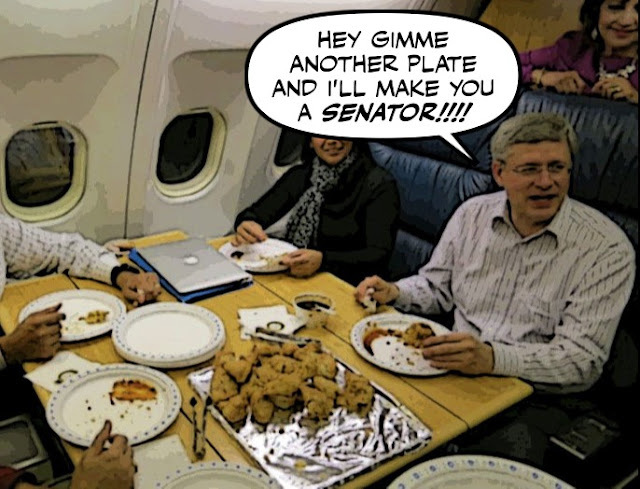 The day he announced he was leaving Ottawa to go save Alberta from the commie hordes. 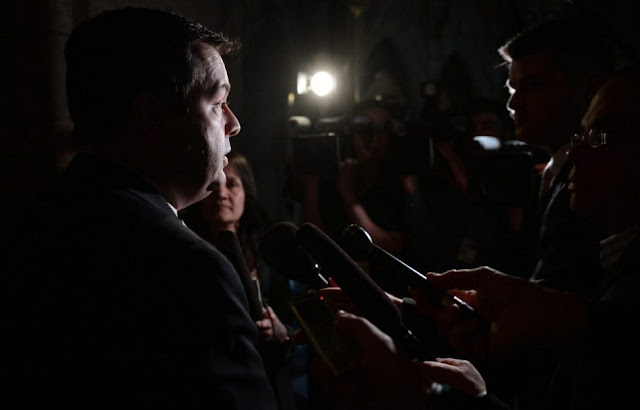 Jason Kenney has confirmed he is leaving federal politics to try to unite the right in Alberta in a bid to fend off another "catastrophic" NDP victory in his home province. So there he was, quivering with excitement and sweating profusely, trying to make it sound like the Second Coming. But judging from their faces the people behind him weren't too impressed, and neither were a lot of others. 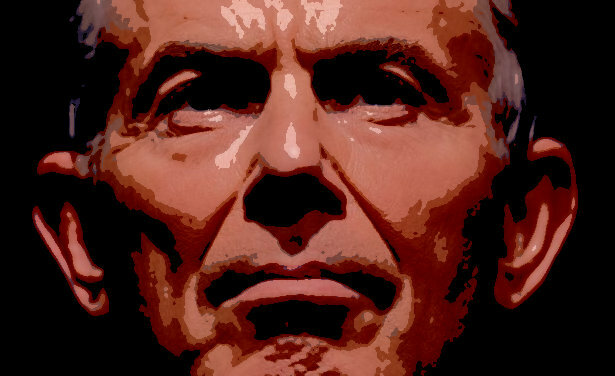 It's taken seven years for a British inquiry to render its verdict on Tony Blair, and his role in the Iraq War. But at last the verdict is in. It couldn't be more devastating. 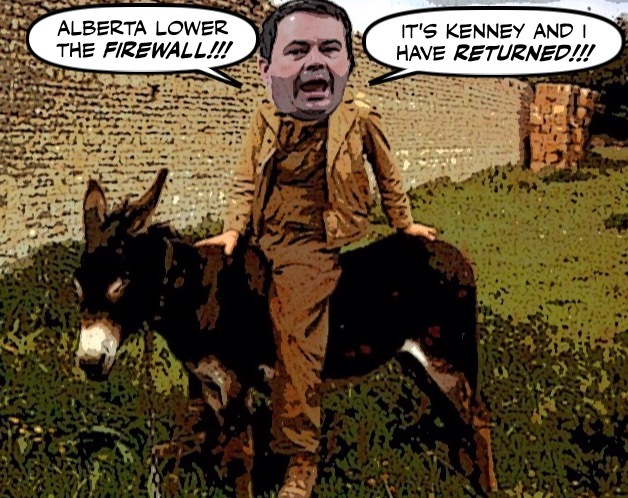 As you know I am delighted that today is the day Jason Kenney is going to announce that he is leaving Ottawa to ride back back to Alberta. After twenty miserable years of spewing manure in every direction. And I had thought that from now on that grotesque bully bigot would be the cowboy province's problem. 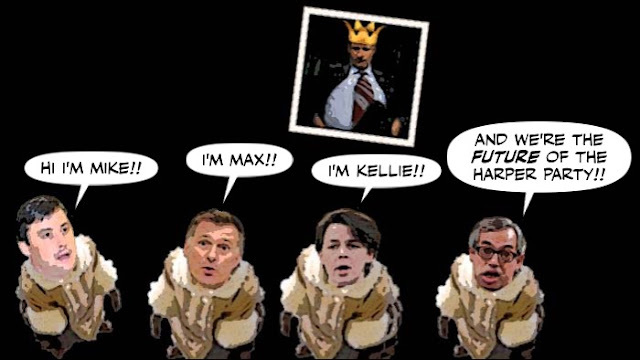 But according to Postmedia's David Akin I might have counted my chicken hawk before it hatched. Once upon a time Stephen Harper must have thought it would be so simple. 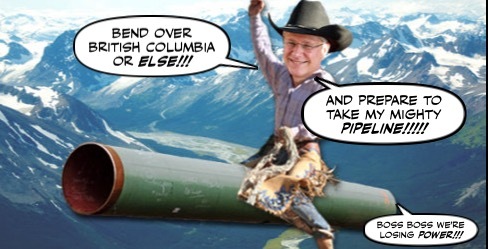 He'd fly his oily Northern Gateway pipeline from Alberta to beautiful British Columbia. He'd soar over the Rockies and the Great Bear Rainforest, and ram it into the Pacific. After muzzling his critics, rejecting scientific evidence, all but ignoring BC's First Nations, and giving the planet a stubby finger. But sadly for him, first he went down in flames, and now it seems so has his pipeline. 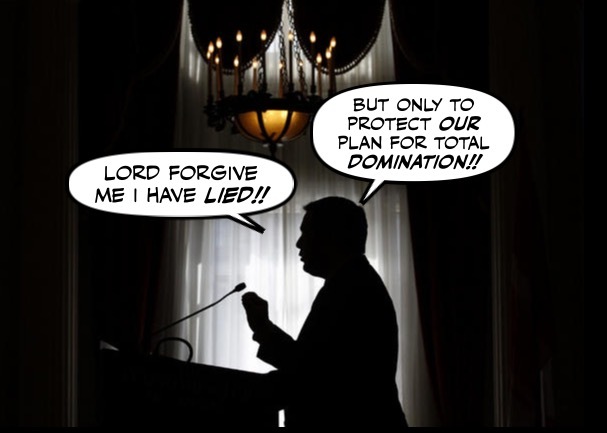 For weeks Jason Kenney has been playing a game of hide and seek. Or what I would call if Kenney wasn't still clinging grimly to his chastity vows, playing hard to get. Whipping the Con media into a frenzy by hinting that he's thinking of leaving Ottawa, only to quickly deny it. In an obvious attempt to try to build up the suspense, so he can make his decision sound like a historic announcement. Well now it seems the chubby chicken hawk has finally made up his mind. Well I got there late, as usual. So I had to settle for a place in row 18. And I had to leave early because my stitched up knee started to swell up. 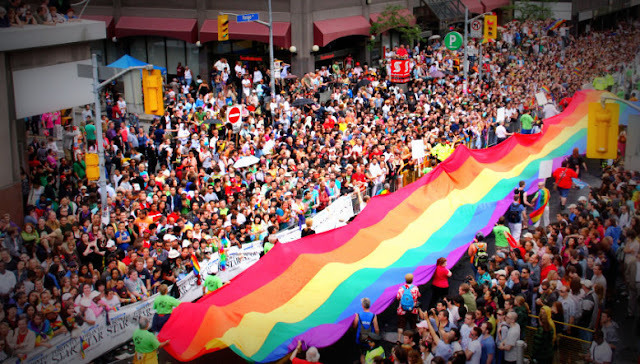 But after my best Canada Day ever, it was my best Gay Pride parade ever. It was an amazing sight. I've never seen so many people in my life. And I did stay long enough to see history made. 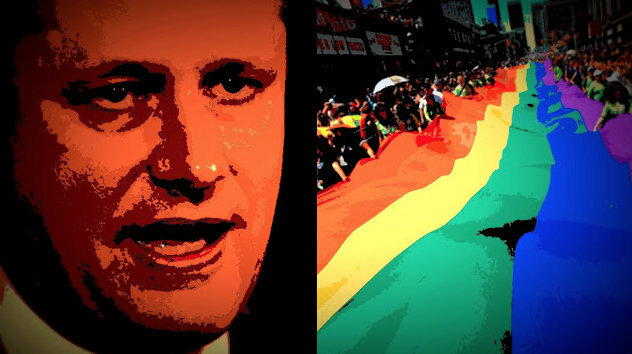 For almost ten years Stephen Harper waged a stealthy war against gay Canadians. He forced a second vote on gay marriage, he voted against every gay rights bill that ever came before Parliament, including those designed to protect gay people from hate crimes. 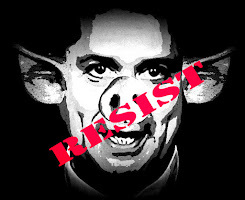 He cut off funding for all LGBT organizations, he did nothing to fight homophobia, and nothing to protect gay kids from being bullied to death. But today Justin Trudeau is about to make history. It's been just over a week since the result of the Brexit referendum shocked the world. And triggered what can only be described as a racist horror show. Police in Britain have recorded a dramatic rise in racist attacks in the wake of Brexit, with five times the usual number of incidents reported in the week since the country voted in a referendum to leave the European Union. But don't expect the ghastly Con tea bagger Rex Murphy to be concerned about that.